I do hope your all having fun with the run up to Christmas and if you have little children i hope they are all excited at seeing Santa!! I know i use to be super excited when my son was little and still believed in Santa. So when i first saw this MDF Santa Key from That Craft Place Ltd it reminded me of what we use to do so i just had to get me one!! Firstly prime the MDF with Multi Surface Primer and leave to dry. Once dry i gave it 2 coats of Red Acrylic Paint. Next i dry brushed Tarnished Gold Cosmic Shimmer Shimmer Paints all around the edges of the key shape. Next i dry brushed the Santa words and the present with White Acrylic Paint. Here's a couple of close up photo's so you can see the dry brushed edges. 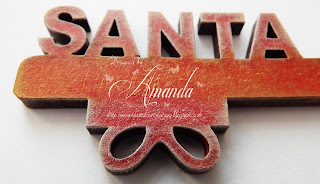 When the paint was all dry i next applied Ranger's Clear Emboss it Dabber to the Santa word and the present and then sprinkled Stampendous Frantage Shabby White and heated that to melt it. I made a largish bow and added some gems and some ribbon in which to hang the Key. You can also find That Craft Place Ltd HERE on Facebook where you will find Lot's of wonderful crafty goodies and even more bespoke MDF Laser Cuts. Cute. Thank you so much for sharing your lovely creation with us at Sparkles Monthly Challenges. 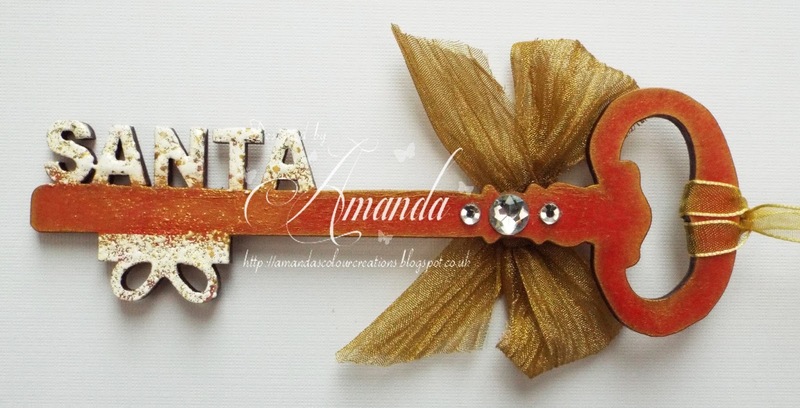 What a fabulous creation and a brilliant idea, love the ribbon too. Thank you for joining our Golden challenge this week at Allsorts. Oh this is a fantastic creation! Love the ribbon on it! Thank you for playing in our Funday Friday challenge! Love this! What a fun project to make. I love the way you coloured it! What a fun project! Thanks so much for participating in our Really Reasonable Ribbon Challenge. 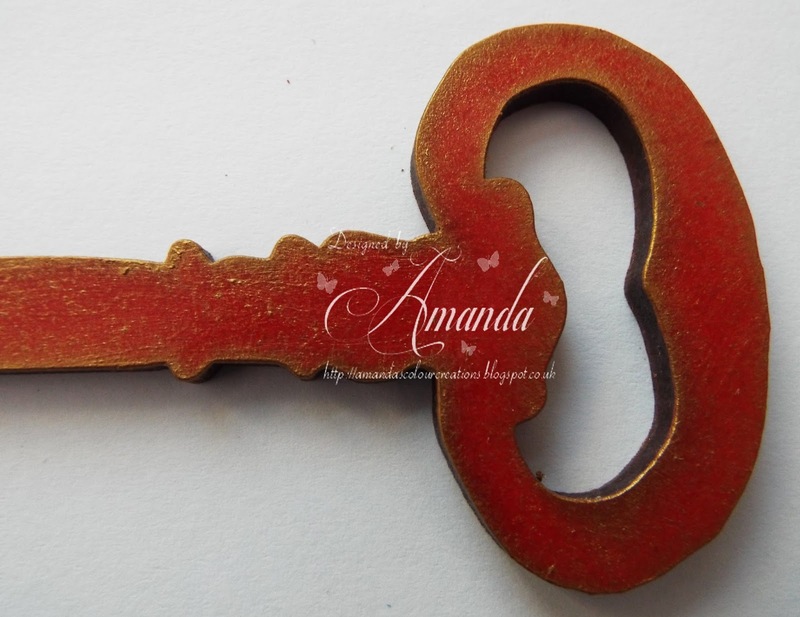 Your key if fabulous! And I love how it represents such a beautiful tradition for your family. Thanks for playing along with Fun~day Friday at Jo's Scrap Shack. What a gorgeous alteration! Thanks for joining LLC for our December challenge. HNY!